Mahdavi M, Rahimi S, Eghlidospoor M. Evaluation of some spiral and sequential computed tomography protocols of adults used in three hospitals in Shiraz, Iran with American College of Radiology and European Commission guidelines. Polish Journal of Radiology. 2018;83:297-305. doi:10.5114/pjr.2018.77023. Mahdavi, Maziyar, Saeed Rahimi, and Mahsa Eghlidospoor. 2018. "Evaluation of some spiral and sequential computed tomography protocols of adults used in three hospitals in Shiraz, Iran with American College of Radiology and European Commission guidelines". Polish Journal of Radiology 83: 297-305. doi:10.5114/pjr.2018.77023. Mahdavi, Maziyar et al. "Evaluation of some spiral and sequential computed tomography protocols of adults used in three hospitals in Shiraz, Iran with American College of Radiology and European Commission guidelines." Polish Journal of Radiology, vol. 83, 2018, pp. 297-305. doi:10.5114/pjr.2018.77023. Use of computed tomography (CT) has increased considerably all over the world due to its advantages, such as improved image quality and better visualisation of some organs compared to other radiological methods. This eventually generates a higher population collective dose and consequently increases cancer risk, especially in children [1-4]. There has been an increasing demand for utilisation of CT scanning in Iran over the past decade, especially after the introduction of multi-detector computed tomography (MDCT). For example, the number of CT facilities in Fars province has increased by 100% in the past 15 years (2000-2015). Some hospitals have been equipped with new dual detector rows and MDCTs, and some have replaced their conventional equipment with spiral ones . Presently in Shiraz, the capital of Fars province in Iran, with 1.7 million inhabitants, the number of CT apparatus has increased by 175% (6.5 scanners per million population in 2013). All of the conventional CT equipment was replaced with dual detector rows and MDCTs, and some new institutes and teaching hospitals have been equipped with spiral and multi-detector computed tomography . Although the exact number of CT examinations per thousand people is not available in Shiraz city, the increase in CT facilities means an increase in the number of exams, which in turn increases the collective dose of the Shiraz population. It should be considered that about 100-300 protocols are loaded in a typical CT scanner, and it needs an experienced technologist to modify the large number of parameters such as kilovoltage (kVp), milliampere-second (mAs), slice thickness, etc. before the start of the scan . Making a mistake in the selection of scan parameters relative to patient’s weight and age, especially in children, leads to patients receiving higher doses and having increased risk of cancer . On the other hand, there is no requirement for certification or standard board examination for radiology technologists to work in CT departments in Iran, and there are no CT courses in the curriculum of radiology technology documented by the Ministry of Health and Medical Education (MOHME) before 2008. It must be considered that all radiology technologists graduate from the state universities in the Islamic Republic of Iran, and there is no other educational centre for training radiology technologists, especially CT technologists, but a few short training courses are held by official representatives of the CT companies after equipment installation. All of these facts prompted us to compare some CT protocols in CT departments of three hospitals in Shiraz, using practice guidelines of American College of Radiology (ACR) [8-12] and European Commission (EC) 16262 for sequential , and ACR [8,14,15] and EC 2004  guidelines for multi-detector CT scanners. In this study, some common CT protocols were surveyed and evaluated for about two and a half years (January 2014 – April 2016) in one private and two teaching hospitals. In the private hospital (PH), one dual detector row scanner (Philips Medical System Co.) was used for all scan requirements, and in two other teaching hospitals (TH1 and TH2), three scanners were used: eight-row multi-detector CT (GE Medical system) in TH1, dual-detector row CT scanner, and sixteen-row multi-detector CT scanner (GE Medical system) in TH2. Sequential scans were all taken by dual-detector scanner in PH and TH2, but they were done by eight-slice multi-detector CT in TH1. Chest and abdomen scans with contrast in spiral mode were taken by eight- and 16-row multi-detector scanner in TH1 and TH2, respectively, and by dual-detector row scanner in PH. Protocols included brain CT with and without contrast, sinus CT without contrast, and high resolution computed tomography (HRCT) in inspiration and expiration, all taken with sequential mode, and chest and abdominopelvic CT with contrast in spiral mode. 1. ACR practice parameters, which were used for: brain, extracranial head and neck, HRCT of lung, thoracic and abdominal imaging [8-12,14,15]. 2. European Commission guidelines on quality criteria for computed tomography EC (16262), which were used for dual-detector CT machine in PH and TH2 . 3. European Commission guidelines on quality criteria (EC  for multidetector computed tomography), used for both MDCT machines (16 and eight detector rows) in two teaching hospitals . Various measures are used to describe the radiation dose delivered by CT scanners, the most prevalent of which are dose reference level (DRL), DLP, and CTDIvol. To evaluate and compare the dose with the three aforementioned references, DLP, CTDIvol, and scan length were recorded. ACR has no recommendation for DRL and achievable doses (AD) for some protocols, which we surveyed in this study, so there was no comparison of these protocols with the criteria; the protocols were HRCT of the lung, sinus, and face. For each CT exam, two technologists in the CT departments of each of the three hospitals were selected randomly, and the ready-made forms including the mentioned parameters for 10 patients (five patients had to be taken by each technologist) were filled out in order to define how these CT departments meet or deviate from the guidelines. The recorded doses of patients in our study were compared with DRLs pronounced by ACR  or with CTDIvol values, which the European Commission guidelines published for different spiral and multidetector CT protocols [13,16]. The only kVp used in the three CT departments was 120, so this parameter met the EC (16262) and 2004 guidelines. There is no canon for kilovoltage in ACR practice guidelines for the thoracic and abdominal CT [14,15], but ACR recommends that kilovoltage should be changed according to body size and weight in adults [10,11,14,15] to satisfy the ALARA principle, but just for HRCT of lung it is recommended that the tube potential should not exceed 120 , which was respected by the three CT departments. The technologists in three CT departments preferred not to change the tube potential in accordance with the patient’s size and weight. All scans were taken by 120 kvP for adult patients. Although the kilovoltage is one of the scan parameters that highly affects the image quality, it is not linearly related to the patient’s dose and contrast-to-noise ratio (CNR), but reducing the kilovoltage reduces the amount of radiation when other exposure factors are fixed . In many CT examinations involving the use of iodinated contrast media, the superior enhancement of iodine at lower tube potentials improves the conspicuity of pathologies. On the other hand, the images obtained using lower tube potentials tend to be much noisier, so a trade-off between image noise and contrast enhancement must therefore be made. For the same radiation dose, when the patient size is below a certain threshold, the use of a lower tube potential can generate better image quality than the higher tube potential. Alternatively, the dose can be reduced while maintaining the same image quality as a high tube potential image. Consequently, for a given patient size, an optimal tube potential exists that yields the best image quality (CNR, lesion detectability) or the lowest radiation dose. For non-contrast CT examinations, the benefit of lower kV has not been established because soft tissue contrast is not highly dependent on the tube potential . Changing the tube potential in adult and paediatric patients is not a simple task in CT, and it is highly related to other parameters like noise level, patient’s size, type of scan (with or without contrast), and length of scan. In this regard, for small size patients it can be performed cautiously with radiologist and physicist evaluation of the noise level of CT images, and a few studies showed that it is enforceable in some clinical situations . Thus, we recommend that new protocols with tube potentials lower than 120 should be used for adults of small size. One of the factors that affect the image quality in computed tomography is gantry rotation time. Reducing the rotation time makes scanning faster and reduces the motion artefact in CT images, leading to better image quality, especially in agitated patients. A rotation time of less than one second was available in all four CT scanners that were investigated in this study. 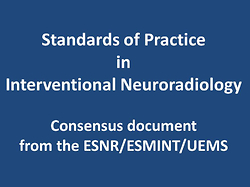 In ACR criteria, the time per rotation is related to equipment specifications, and for brain protocol, it should be less than 2 s . All three CT departments were in accordance with ACR guidelines. In the sinus protocol, ACR recommends that the minimum scan time should not exceed 1 s , which, unlike TH2, was observed by TH1 and PH. The rotation time in the sinus protocol in TH2 was 1.5 s, which could have been decreased to 1 s and in consideration of reducing X-ray intensity, the milliampere should be increased (80), and the chance of patient’s motion is significantly decreased by this simple technique. According to ACR criteria for HRCT of the lung , the rotation time should be less than or equal to 1 s, which was considered in all three CT departments. For expiration scans in TH1 and TH2, the results are the same as the inspiration scans. The expiration scan was not implemented in PH hospital. EC (16262) and 2004 have not published any recommendation for gantry rotation time for sequential scans. Although according to EC (16262)  the tube current- exposure time product (mAs) should be as low as is consistent with required image quality, we could not apply this guideline for rotation time. Rotation time of the spiral CT in chest protocols in PH, TH1, and TH2 was compatible with the ACR criteria (≤ 1 s) . For producing acceptable clinical images of the abdomen, ACR recommends that the CT scanner should be capable of rotating the gantry in a time equal to or less than one second . The four scanners were capable of rotating in less than one second in the spiral mode, and two technologists in each of the three CT departments applied it in spiral abdominal scans. In general, the rotation time factor was held almost as low as possible, reducing the artefacts from inadvertent motion of patients in three CT departments. ACR  and EC (16262)  suggest two different approaches in selecting slice thickness in CT examination of the brain; the former recommends that the slice thickness should not be more than 5 mm, but the latter suggests 5 mm slice thickness in the posterior fossa and 5-10 mm from the midbrain to vertex. EC (16262) recommends that in sequential scan of the brain the table increment should be contiguous with regard to slice thickness, which in the posterior fossa is 2-5 mm, and in the hemispheres 5-10 mm . ACR recommends that the brain scan should be taken with contiguous or overlapping axial slices with a slice thickness no greater than 5 mm . Table 1 shows that in the three CT departments, in brain CT with and without contrast, the slices taken from the mid brain to vertex were rarely compatible with ACR practice parameter, but in post fossa it met the ACR criteria. Also, the slice thickness was almost in accordance with EC (16262). Slice thickness and table increment should be changed concerning the patient’s history; we found that the same protocol with constant slice thickness and table increment was applied in different clinical indications, which may lead to misdiagnosis of pathologies by the radiologist. For example, in trauma patients, who constituted 40% of the brain exams without contrast in TH1, the protocol was exactly the same as that of the patients referred with headache (20%), cerebrovascular accident (CVA) (20%), epidural haematoma (EDH) (10%), decreased level of consciousness (10%), and for brain exam with contrast media (Tables 1 and 4). In the case of traumatic brain injury (TBI) patients, multiple national health care agencies recommend that the non-contrast head CT protocol should be taken with slice thickness of 2.5- 3.75 mm and reconstruction interval equal to slice thickness in the spiral mode and using soft tissue algorithm for visualisation of brain parenchyma . In addition, for evaluating the facial and calvarial fracture, the bone algorithm with reconstructed slice thickness of 0.5-1.25 mm should be applied in three axial, coronal, and sagittal planes. In the three CT departments, sequential scans were applied instead of spiral for traumatic patients, so multiplanar reconstruction was not performed for TBI patients. In addition, the soft tissue algorithm was never applied for parenchymal pathology or haemorrhage detection, and only the standard and bone algorithms were used for these patients, which may lead to missing pathologies like subtle haemorrhage . Since the invention of MDCT (1966) and detectors smaller than 1 mm, taking CT images with less thickness has significantly increased for detecting small pathologies. But applying these protocols should be justified by radio­logists and medical physicists because of the increase in the patient’s dose, especially in children. Thus, in brain CT for detection of small pathologies, the thin slice thickness, especially in the supratentorial region, is recommended in many CT surveys [20, 21], so the protocol of brain CT in PH and TH2 is more compatible with EC (16262), and it is not in accordance with ACR practice parameters. For the brain CT with contrast, all parameters are alike with the brain CT without contrast, except DLP and DRL, which are shown in Table 4. The histories of patients for brain CT with contrast were different from those of brain CT without contrast in the three hospitals (Table 3), so the protocol could have been changed for detecting small size tumours or metastases. According to Table 1, none of the three CT departments was compatible with the ACR practice guidelines of the extracranial head and neck computed tomography; it is recommended that the minimum slice thickness should not be more than 1.5 mm  in the axial or coronal CT of sinuses, but according to EC (16262) recommendations about selecting slice thickness of 3-5 mm , PH and TH2 met this criterion. Every CT exam must be indicated, and the selected protocol should be adapted with the history and clinical finding of the patient, but in TH2 20% of patients referred with a history of trauma, which were scanned like the patients with a history of headache (Table 3). Concerning EC (16262) guidelines, coronal CT of the paranasal sinuses in the spiral mode can be used for better evaluation of patients with a history of face trauma and functional endoscopic sinus surgery (FESS) . Therefore, by choosing the wrong sinus protocol for traumatised patients, tiny fractures in the facial bones can be missed. In the TH1, two technologists did not fulfil the same protocol for patients with the same history of headache, but slice thickness in TH1 in comparison with the other two hospitals was closer to ACR criteria. The ACR has not mentioned any criterion for table increment in the sinus protocol , but EC (16262)  recommends that contiguous slice be applied in sinus protocols that were done in PH, TH1, and TH2 (Table 1). The slice thickness of lung HRCT on inspiration in the three CT departments was compatible with the ACR practice parameter that recommends that the slice thickness should be less than or equal to 2 mm for non-helical CT . In the revised version of the guideline, the reconstructed slice thickness has been changed to less than or equal to 1.5 mm , and TH2 was not in accordance with this guideline. The selection of slice thickness in the three hospitals was compatible with the EC (16262) guideline . Both ACR  and EC (16262)  recommended that the table increment should be in the range of 10-20 mm, which was respected by all technologists in the three CT departments. For better evaluation of distribution of diffuse lung disease, which may manifest in chemically injured patients due to chemical warfare, ACR suggests that helical mode scan of HRCT with MDCT equipment should be used . Therefore for 100% of the patients (20 patients) who referred to TH1, using thin reconstructed slices from volumetric data sets and post-processing techniques like multiplanar reconstruction (MPR), maximum intensity projection (MIP), and the minimum intensity projection (minIP) can be helpful for the radiologist to determine the extent of diffuse interstitial lung disease and treatment evaluation . These techniques could be used in a TH2 CT department equipped with an MDCT scanner (16 slices). For expiration scans in TH1 and TH2, the slice thickness and table increments were the same as the inspiration scan, and the expiration scan was not taken in the PH. In TH1, an identical detector collimation (8*2.5 mm) was applied for all patients with different histories, such as lung tumour, metastasis to the thorax, and trauma (Tables 2 and 3). Although this small detector collimation was selected for these clinical indications, the pitch number was 1.675 and reconstructed slice thickness and interval were 5 mm, so the images did not have perfect quality for producing MPR for some patients. Two out of 10 patients must be evaluated carefully with thin reconstructed slices, to rule out metastasis to the thorax [20, 21]. In this regard, the scan could be done with a smaller detector collimation (like 8*1.25 mm); otherwise, in the cases of large pathologies, the wider detector collimation and slice thickness (5 mm) would be sufficient, and due to a lower overbeaming effect with this collimation, the patients’ doses may be decreased. Slice thickness and interval in the spiral chest CT in TH2 were 7.5 and 7.5 mm, respectively (with 16*1.25 mm detector collimation). Although the slice thickness was not in accordance with the two criteria [15, 16], retrospective reconstructed slice thickness of 1.25-3 mm (not mentioned in the Table 2) was done for patients with different histories including pulmonary embolism (PE), lung cancer, and trauma (Table 3). By this technique, reconstructed slices were produced in the coronal, sagittal, and oblique planes for 10 patients; therefore, the probability of missing the pathology significantly decreased. The ACR and EC (2004) guidelines recommend this technique for better evaluation of thoracic pathologies [15, 16]. The radiologists in both teaching hospitals assessed the primary images from the PACS, and if it was clinically indicated that the secondary reconstruction was being done, the slice thickness was too large for pathological assessment of 10 patients who were scanned with this protocol. In PH slice thickness, reconstruction interval and pitch number were not in accordance with ACR and EC (16262) guidelines [13, 15]. Fifty per cent of the referring patients with spiral chest CT in PH hospital had a history of metastasis to the lung, and the remaining patients referred with pneumonia (Table 3), but two technologists used one protocol for all patients. In this regard, the protocol is not consistent with diagnostic aspects of the examination, and the pathology may be missed by incorrect technique, or the radiation dose may be increased in patients. Slice thickness, unlike reconstruction interval of helical CT protocols for the abdomen and pelvis in TH1 and TH2, were not in accordance with EC (2004) , but the mentioned parameters in PH were compatible with EC (16262)  (Table 2). Both technologists in TH1 and either in TH2 acted based on the ACR guideline , but in PH the mentioned parameters were larger than those recommended by ACR . In TH1 and TH2 the helical scan mode was used for the abdominopelvic regions, and small detector collimations were applied for the referred patients with different histories (Table 3), but ACR recommends focusing on the area of interest and limits the radiation to the concerned organs for ruling out pathology . In spite of small detector collimation in TH1, MPR was not done for 90% of patients with a history of space-occupying lesions (SOL) and tumour, but it was performed for all patients in TH2. In addition, the detector collimation and slice thickness and interval were too large for detailed assessment of metastasis to the abdominal organs in 50% of patients in the PH CT department. Although the pitch numbers for the abdomen and pelvis scans were in accordance with the two criteria: ACR  and EC (16262)  in all three hospitals, the inconsistency of slice thickness and reconstruction interval with different types of pathologies may lead to missing small pathologies like haemorrhage, metastasis, and laceration of abdominal organs. CT dose parameters including DLP and CTDIvol for six sequential and spiral protocols are presented in Table 4. In the three CT departments, the mean DLPs of sequential protocols including brain CT with and without contrast and coronal sinus were lower than the limit of DLP that EC (16262)  recommended, i.e. 1050 and 360 mGy . cm, respectively. For HRCT of the lung (inspiration and expiration scans), the mean DLP in TH1 and PH (inspiration scan) was less than the EC (16262) dose limit , but in TH2 the mean DLP in both inspiration and expiration scans were higher than the dose limit. The CTDIvol of the brain with and without contrast protocols was lower than DRL that ACR pronounced in practice parameter . It means the mean doses of patients in each CT department were below 75 mGy, like 75% of hospitals surveyed by the ACR . Also, achievable doses (ADs) of patients in the three CT departments for brain protocols are less than the ADs that were surveyed by ACR (57 mGy) . ACR has not recommended any criterion about DRL and AD for the sinus and lung HRCT. In spite of higher DLPs in TH2 for HRCT of the lung, which may be related to the patient’s chest size and thin slice thickness, these results showed that the doses to patients in the three CT departments were almost in the acceptable range in comparison with the doses recommended by ACR and European guidelines. According to EC (2004), the CTDIvol for spiral chest and abdomen and pelvis CT should be lower than 10 mGy and 15 mGy, respectively , but in TH1 the CTDIvol of patients who underwent these scans was higher than the recommended limit set by the EC (2004) (almost two folds). The mentioned CTDIvol of the chest and abdomen and pelvis spiral scans was lower than DRLs as announced in the ACR report . The mean CTDIvol for the spiral chest exam in TH2 was almost compatible with EC (2004) recommendations (< 10 mGy), and for the abdomen and pelvis CT, the mean CTDIvol for one technologist was lower but for the other it was above the dose limit (15 mGy) (Table 4). For adult chest and abdomen and pelvis CT exams, the mean CTDIvol was lower than the DRL declared by ACR . In the chest and abdomen-pelvis exams, four technologists used automatic exposure control (AEC) for changing the intensity of X-rays passing through unequal thickness of the patient’s body during the scan, but this strategy alone cannot decrease the patient’s dose and image noise simultaneously, so technologists and radiologist should be aware of the other parameters that control the noise effect during spiral scan. One of these parameters, especially named by GE manufacture machines, is noise index, and it is approachable in TH1 and TH2 scanners. Increasing noise index with fixed slice thickness produces more noise in the CT images, but it significantly mitigates the relative radiation exposure to the patient; if the slice thickness is increased, the noise and dose of patients decrease, but the penalty is a reduction in spatial resolution . In some patients with gross pathologies identified in the chest X-ray or abdominal sonography, high spatial resolution is not critical, so the above strategy could be applied. In this regard, different protocols should be applied for patients with different histories. The noise indices for the chest and abdomen-pelvis CT exams were 10.2 and 10.9, respectively, in TH1, and for the same CT exams they were 17.2 and 16.33, respectively, in TH2. Hence, the mean CTDIvol of patients in TH2 was lower than the TH1. Although the slice thickness of both exams in TH1 was lower than TH2, by increasing the noise index the patient’s dose decreased and the image quality did not change significantly, and it was perceptible for the radiologist, especially in the anatomic areas like the chest where the subject contrast is very high . In PH, the mean CTDIvol of the chest and abdomen–pelvis protocols for all patients was lower than the DRL recommended by ACR (Table 4). The mean DLPs of the same patients were lower than the dose limit proffered by EC (16262)  for both CT examinations. The CT examination must be initiated by a physician, and clinical findings should be provided by him/her , but 50% of patients had no history of the abdomen-pelvis CT exams in PH. In this regard, two problems may arise: first, the exam is not indicated, so radiation received by patients is not justified; and second, the radiologist and technologists know nothing about which part of the abdomen or pelvis has been involved with disease so they cannot focus on it. The CTDIvol of the spiral scans was far below the ACR measurements (DRL) , but the recorded doses were higher than the dose limit published by EC (2004) , so this issue prompted us to find out the cause of this discrepancy. In teaching hospitals, the use of AEC with fixed scan factors like noise index or mA range for scanning of different patients with dissimilar histories was in such a way that almost all spiral scans were incompatible with the dose recommended by EC (2004) . Comparison of CTDIvol with EC (2004) resulted in detection of dose disagreement occurring by using AEC in almost all spiral scans. Based on accordance of CTDIvol with ACR measurements and incompatibility with EC (2004) in teaching hospitals, we concluded that the recorded doses should be compared with different criteria. Furthermore, in order to decrease the doses substantially, dose reduction techniques such as tube-current modulation, low-tube voltage protocols, and iterative reconstruction algorithms can be used . In private hospitals, the lack of patient’s histories in the abdomen and pelvis scans with contrast led to them receiving unjustified radiation, but in two teaching hospitals all CT exams were clinically indicated and justified. The majority of scan factors in sequential and spiral protocols, which were scrutinised in the three CT departments, met the two European guidelines and ACR practice parameters. In some routine protocols, the same scan factors were used for patients with different histories, which may lead to misdiagnosis by radiologists in the three CT departments. The inconsistency of the reconstruction interval in spiral scans may lead to overlooking pathologies like metastasis, haemorrhage, and small organ laceration, especially when MPR images are not produced. The mean volume CT dose index (CTDIvol) and dose length products (DLP) for sequential and spiral scans were lower than the dose reference level (DRL) surveyed by ACR in the three CT departments, and compatible with the recommended dose by EC (16262) in a private hospital. The automatic exposure control (AEC) with fixed scan factors like noise index or mA range for scanning of different body parts of patients with dissimilar histories was performed so that almost all spiral scans were incompatible with the dose recommended by the EC (2004) in teaching hospitals. Comparisons of CTDIvol and DLP of all scans with two criteria led to different conclusions in teaching hospitals due to different recommendations. Regular review of protocols, use of special protocols for different pathologic circumstances, and continual education for technologists in the three CT departments are recommended. In addition, for justification of abdominal exams, there is a need for practitioners’ further course of action in private hospitals. 1. Mettler Jr FA, Thomadsen BR, Bhargavan M, et al. Medical radiation exposure in the US in 2006: preliminary results. Health Physics 2008; 95: 502-507. 2. Brenner DJ, Hall EJ. Computed tomography – an increasing source of radiation exposure. N Engl J Med 2007; 357: 2277-2284. 3. Mathews JD, Forsythe AV, Brady Z, et al. Cancer risk in 680 000 people exposed to computed tomography scans in childhood or adolescence: data linkage study of 11 million Australians. BMJ 2013; 346: f2360. 4. Smith-Bindman R, Lipson J, Marcus R, et al. Radiation dose associated with common computed tomography examinations and the associated lifetime attributable risk of cancer. Arch Intern Med 2009; 169: 2078-2086. 5. Radiology Administration Office. The Statistical Survey of Computed Tomography centers in Fars Province. Shiraz University of Medical Sciences, Shiraz 2015 [Unpublished data]. 6. Bushberg JT, Boone JM. The essential physics of medical imaging. Lippincott Williams & Wilkins, Philadelphia 2011. 7. Miglioretti DL, Smith-Bindman R. Overuse of computed tomography and associated risks. Am Fam Phys 2011; 83: 1252-1254. 8. ACR Practice Parameter for Performing and Interpreting Diagnostic Computed Tomography (CT) Res. 35 – 2011, Amended 2014 (Res. 39). Available from www.acr.org. Accessed: 10 January 2016. 9. American College of Radiology, ACR practice guideline for diagnostic reference levels in medical x-ray imaging, 2002 (revised 2008). Available from www.acr.org. Accessed: 10 January 2016. 10. ACR-ASNR-SPR practice parameter for the performance of computed tomography (CT) of the extracranial head and neck; 2010, amended 2014 (Res. 39). Available from www.acr.org. Accessed: 10 January 2016. 11. ACR-ASNR practice guideline for the performance of computed tomography (CT) of the brain; 2010, amended 2014 (Res. 39). Available from www.acr.org. Accessed: 10 January 2016. 12. ACR-STR practice parameters for the performance of high resolution computed tomography (HRCT) of the lungs in adults. 2010, Amended 2014 (Res. 39). Available from: www.acr.org. Accessed: 10 January 2016. 13. Jessen K, Panzer W, Shrimpton P, et al. EUR 16262: European guidelines on quality criteria for computed tomography. Office for Official Publications of the European Communities, Luxembourg 2000. 14. ACR-SPR practice parameter for the performance of computed tomography (CT) of the abdomen and computed tomography (CT) of the pelvis; 2010, amended 2014 (Res. 39). Available from: www.acr.org. Accessed: 10 January 2016. 15. ACR-SCBT-MR-SPR practice parameter for the performance of thoracic computed tomography(CT); 2010, amended 2014 (Res. 39). Available from: www.acr.org. Accessed: 10 January 2016. 16. Bongartz G, Golding SJ, Jurik AG, et al. European guidelines for multislice computed tomography: appendix A. European Guidelines for Multislice Computed Tomography Funded by the European Commission, Brussels 2004. 17. Tack D, Gevenois PA, Abada H. Radiation dose from adult and pediatric multidetector computed tomography. Springer, 2007. 18. McCollough CH, Primak AN, Braun N, et al. Strategies for reducing radiation dose in CT. Radiol Clin North Am 2009; 47: 27-40. 19. Zasler ND, Katz DI, Zafonte RD. Brain Injury Medicine: Principles and Practice. Demos Medical 2012; P194-195. 20. Haaga JR, Dogra VS, Forsting M, et al. CT and MRI of the whole body. Mosby, Philadelphia 2009. 21. Hofer M, Manual CT. A systematic approach to CT reading. Thieme Medical Publishers, New York 2011. 22. Kanal KM, Stewart BK, Kolokythas O, Shuman WP. Impact of operator-selected image noise index and reconstruction slice thickness on patient radiation dose in 64-MDCT. Am J Roentgenol 2007; 189: 219-225. 23. Heggie J, Kay J, Lee W. Importance in optimization of multi-slice computed tomography scan protocols. Australas Radiol 2006; 50: 278-285. 24. Dougeni E, Faulkner K, Panayiotakis G. A review of patient dose and optimisation methods in adult and paediatric CT scanning. Eur J Radiol 2012; 81: 665-683.